Photo: View from High Street, Northcote - Melbourne Australia CBD. Melbourne Victoria, on the south coast of Australia has a cosmopolitan and vibrant atmosphere - a sophistication and sense of history not seen, at least to the same degree, in other Australian cities. Melbourne is a city worth exploring - it is Australia’s events capital, its sporting hub and its cultural heartland, home to great theatre, music, nightlife and restaurants. Peel back the layers to uncover a place that’s constantly on the move - from the ever-changing bar scene to a non-stop rollcall of international events. It is said people here are a little more snobby, but its probably they have a better sense of dress and are more in touch with fashion. You can find great clothes designers, shoes and accessories here. Melbourne is a treat for those interested in culture, entertainment, great Australian wines, festivals and fine dining restaurants. Even the cafés and smaller eateries work hard to outdo each other, from the small bakery cafés to the fantastic family run dining cafes, serving authentic Thai, Italian, Greek and other foods from over a hundred countries. Even the Melbourne Suburbs are worth exploring, for entertainment, food and shopping. Not far from the city, Victoria being such a compact state, are places to visit that offer history, from scenic small wineries and villages to the rural cities that thrived during the Gold Rush era. The road to Melbourne is spectacular no matter which direction you approach the city. There is a route through the rugged Australian Alps; as well as the Princes Highway seaside route from Sydney, passing beautiful sandy beaches, national parks and coastal resorts. The Hume Highway, from Canberra and Sydney, is lined with vineyards and fine wineries. From Adelaide, along the Great Ocean Road provides a showcase for some of Australia’s most dramatic scenery. 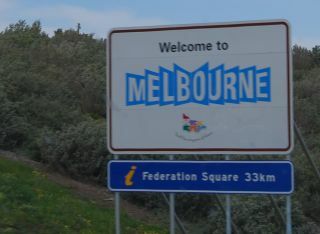 Visit Melbourne and Victoria! You will love it! You can find places to stay in throughout Melbourne Australia: luxury resorts and hotels to scenic campsites in Caravan Parks. Accommodation available includes a wide range of styles to suit almost any budget. There are even Melbourne seaside resorts, conveniently located hotels, bed & breakfasts near the beach or in the city center or suburbs, caravan parks, serviced apartments and holiday homes. 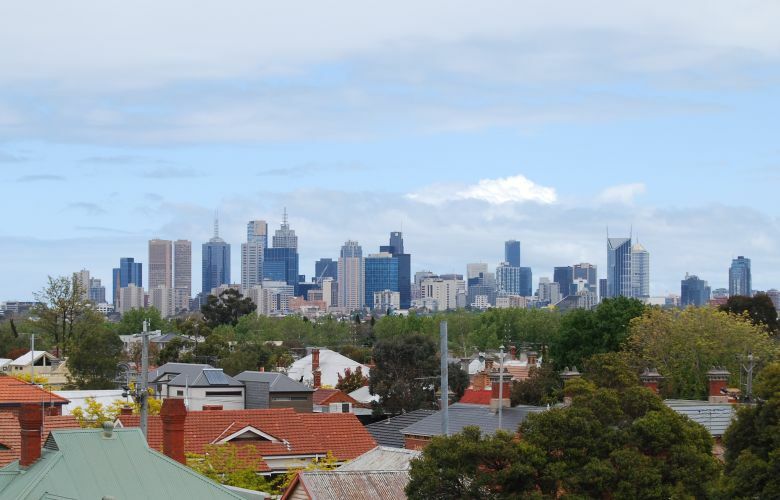 Main Photo: View from High Street, Northcote - Melbourne Australia CBD.